Marriott International has opened new AC Hotels by Marriott properties in Valencia and Istanbul and has a third hotel under construction in Israel. 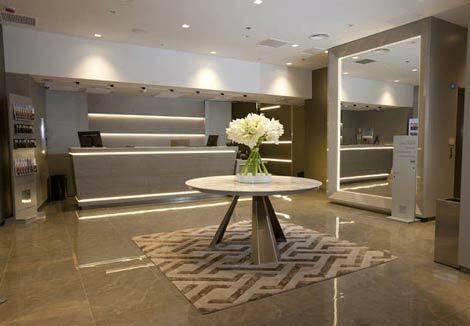 The 91-room AC Hotel Colon Valencia is the brand’s second property in the Spanish city and its 16th in Spain. Located near the city’s commerical and financial district and within walking distance of North Valencia railway station, it features a restaurant, three meeting rooms, a business centre, a fitness centre, and a terrace. The 98-room AC Hotel Istanbul Macka is the brand’s first property in Turkey and is operated under a franchise agreement with Tans Turizm ve Otelcilik AS. It is located in the European side of the city, close to the Istanbul Conference Centre, and features a restaurant, three meeting rooms, a fitness centre, sauna and two treatment rooms and “The Market”, which is open 24-hours a day and sells items including drinks and toothpate. The AC Hotel Herzliya in Israel is scheduled to open in January 2016 and is located a short drive from Tel Aviv next to the Herzliya Business Park. Facilities will include a lounge with a sea view, a restaurant, bar, two meeting rooms, outdoor swimming pool and pool bar. Marriott opened its seventh hotel in Istanbul earlier this year (see news, March 12).